The country’s top bureaucrat gave Jody Wilson-Raybould a blunt warning about Prime Minister Justin Trudeau’s desire for a special deal for SNC-Lavalin, saying — in a recorded telephone conversation released publicly today — that the PM wanted to “get it done” and grant the engineering firm an agreement to avoid criminal prosecution. 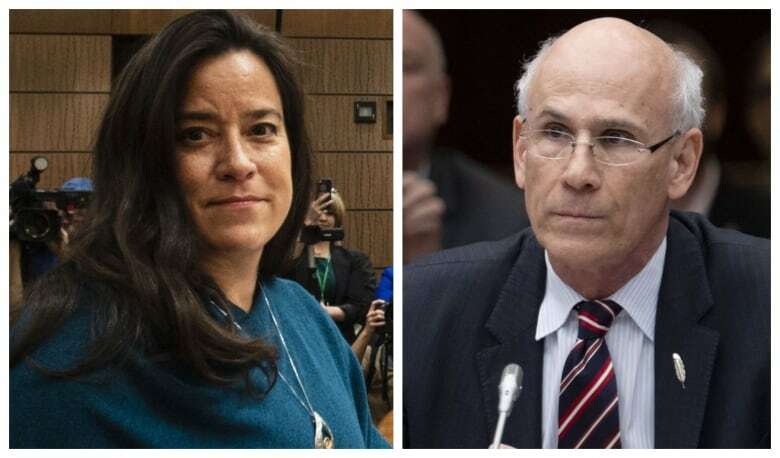 The 17-minute call on Dec. 19 between Privy Council Clerk Michael Wernick and the then-justice minister was released today along with 43 pages of emails, texts and a written statement from Wilson-Raybould tabled to the Commons justice committee. Wernick told the minister there was “rising anxiety” over the fate of a major employer. This is a breaking news story and will be updated. An earlier version of the story appears below. Materials submitted to the Commons justice committee this week indicate Jody Wilson-Raybould recorded at least one of the contentious conversations at the heart of the SNC-Lavalin affair, multiple sources told CBC News. Prime Minister Justin Trudeau has said Wilson-Raybould’s exit from cabinet was a result of an “erosion of trust” between Wilson-Raybould and the Prime Minister’s Office. The existence of a recording suggests that trust may have broken down well before she left cabinet on Feb. 12. Political and non-political sources in government told CBC News the recording is of a conversation between Wilson-Raybould and then-Privy Council Clerk Michael Wernick. When Wernick testified before the committee for a second time on March 6, he said he did not have “independent recollection” of what he said during a Dec. 19 conversation with Wilson-Raybould. Wernick resigned as Privy Council clerk, the country’s top civil servant, on Mar. 18, saying there was “no path” for him to have a “relationship of mutual trust and respect” with opposition party leaders. Wernick’s first appearance in front of the justice committee was widely criticized by Opposition MPs and pundits as partisan for the way he defended the behaviour of various government officials. He is set to officially leave his post on April 19. Two sources — one political official and one non-political official inside government — said Wilson-Raybould’s submission will also include material from Ben Chin, chief of staff to Finance Minister Bill Morneau. Wilson-Raybould pointed to Chin as one of the Liberal officials who pressured her and her staff, and told the justice committee that Chin raised the impact the SNC-Lavalin decision could have on the Quebec provincial election with her chief of staff Jessica Prince. “I don’t have my notes in front of me, but I have a pretty generous memory,” Wilson-Raybould told the committee. Chin denied any wrongdoing in an interview with iPolitics last week. “I did nothing wrong, but I’m a staffer so I don’t talk,” Chin said. As attorney-general, Wilson-Raybould was the government’s lawyer and was bound by solicitor-client privilege. In Canada, it is not illegal for a person to record a conversation with another person without their knowledge, but it would be unusual for a solicitor to knowingly record conversations with a client without informing them first. Many law societies, including the B.C. Law Society and the Law Society of Ontario, forbid lawyers from recording conversations with clients without their knowledge under code of conduct rules. Wilson-Raybould has not been a member of that law society since 2016, but she has an honorary membership in the Law Society of Ontario. The Liberal government has been rocked by scandal since the Globe and Mail reported on Feb. 7 that Wilson-Raybould endured inappropriate political pressure over the SNC-Lavalin case. She testified Feb. 27 that she faced intense, inappropriate pressure and veiled threats, and that she believes she was moved to Veterans Affairs for refusing to overturn a decision by the Director of the Public Prosecution Service of Canada to deny the Quebec-based construction and engineering company a DPA, and instead proceed with criminal charges. SNC-Lavalin faces bribery and fraud charges related to contracts in Libya, and could be barred from bidding on federal contracts for ten years if convicted. Liberal MPs on the justice committee used their majority to close down the hearing without recalling Wilson-Raybould to testify a second time. That prompted the Conservatives to trigger a 31-hour voting marathon in the House of Commons last week in protest. Liberals also used their majority on the Commons ethics committee to block an inquiry into the SNC-Lavalin affair. The NDP is pushing for an independent public inquiry, while the Conservatives have requested an RCMP investigation and Trudeau’s resignation.